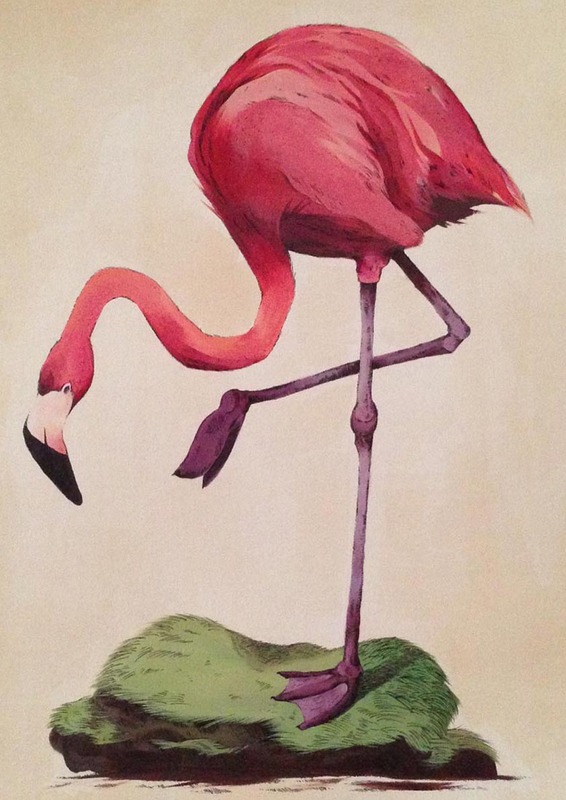 This painting is a hand-painting rendering in acrylic and ink, of the beautiful Phoenicopterus Roseus, or the 'Greater Flamingo', in layman's terms. I find the traditional Latin terms for plants and animals to be fascinating! Hence I decided to include the title of the animal in the painting, as a tribute. I also used the traditional technique of using loose-leaf black tea to stain the paper, to create the illusion of age.